One way or another, business is all about selling. We have to sell to our customers, to our banks and other sources of funds, and even just when we’re meeting people for the first time in a social situation. ‘Selling’ really means just being yourself in a way that’s interesting to your audience. That’s why to make the right kind of impression on others when selling something you can’t just commit a sales pitch to memory and deliver it; you have to sell yourself by being yourself. You have to open up to people and let them see who you really are so they know they can trust you. Think about the last time you encountered a ‘real’ salesperson. You sensed they were simply delivering a pitch and trying to sell you something rather than trying to get to know about you and find out what you really wanted. The impression made by somebody trying to sell something rather than trying to satisfy the needs of a customer is generally a negative one. Now think about a salesperson you’ve met whom you really liked – someone who left you with a positive impression, even if they did manage to part you from your money. Chances are pretty good that they didn’t just try to sell you something, but rather that they spent at least the first part of your time together getting to know you. And when you’d completed the transaction you walked away feeling you’d got to know them as well. What had really happened during your conversation? During that time they’d sold themselves to you before they’d tried to sell you anything else. They got to know you well enough to discover what it was you were after and then matched up your needs with what they had to sell. This isn’t to say that you don’t have to keep business in mind when you’re trying to sell something. Customers expect you to know about your products and to know about the industry you work in. They often come to you for your knowledge as much as they do for a product or service; especially if they’re unsure about exactly what it is they need to solve a problem. But subconsciously, what they really want to do is to learn something about you and to feel that you want to learn something about them. They want to connect on a personal level and make the occasion one in which they’ve met a new acquaintance, even if the ultimate result is that they buy something from you. People don’t want to deal with strangers and will always prefer to purchase something from least someone they feel they know. Remember that people come to you for knowledge and information they don’t possess. It’s up to you to prepare yourself for their questions by learning all you can about your products and how they relate to people’s needs. Anticipate what it is that customers will want to know and be ready with the answers. This will enable you to be a lot more helpful and reassuring. This is not as hard as it sounds. Most selling situations go in a fairly similar, and therefore predictable way. They always begin with a greeting and an introduction, then move on to questions and answers, finally ending with a close and hopefully a sale. Customers are on your territory and probably expect you to control the situation to some degree, so even before you greet a customer have in mind how you want the sale to go. It will make both of you more comfortable if there’s a structure to your conversation. Make the first part of every conversation about them, and not about you or what you’re selling. Make a point of finding out some personal details, starting with their names and what sort of work they do. The most important thing to find out is just what they want from you. It may well be just advice at first, or possibly information about your product. Before you give a definitive answer probe for a bit more information about their needs; if they ask a question it’s an indication that they are aware of a need and hope you’ll be able to satisfy it. You’ve prepared for this conversation, you’ve researched your knowledge base, you’ve outlined how things will go, you’ve got to know the other person – now just relax and let the sale take place. Take the lead but don’t push, and be confident that you’ve got something this customer wants. If not, you’ll both know it and no harm done. 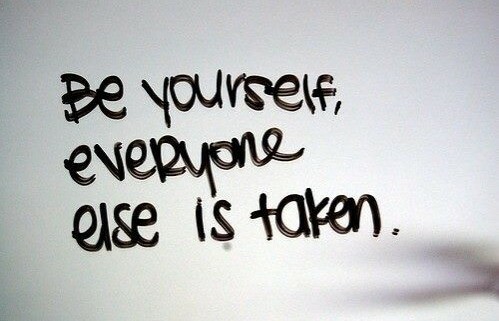 And most important of all, be yourself. Don’t try to become someone who’s the perfect salesperson or has ‘personality plus’. They want to meet someone who’s genuine and sincere – someone who’s just like them but with more knowledge about something they need. That’s you! A lot of people hate meetings. They have too much experience of long meetings that meander on forever and never seem to reach any conclusions that can be acted on. Team members may resent meetings because they are already working to deadlines and the last thing they need is an ineffective meeting that takes up their precious time. However, a well-run meeting can actually save time. It can make sure that everyone is working in the same strategic direction. And a well-run meeting will serve as a way to either solve problems or to deal with issues before they become problems. To keep a meeting on track and productive, you need to plan ahead. Consider what issues you want to deal with. Set the issues out in an agenda and circulate the agenda for comment and modification before the meeting. You can also consider having two-minute conversations with each participant before the meeting. This will help ensure that everyone understands what you broadly expect the meeting to achieve. Somebody needs to chair a meeting. The chairperson’s role is not to dominate discussion. Rather, they need to keep the meeting on track and to elicit the best opinions from the participants. If you decide to chair a meeting yourself, you should restrain your impulse to declare too strong a position on any issue. Try to use the meeting as a problem-solving tool – a way to shed new light on issues and generate unexpected viewpoints. A well-run meeting can arrive at conclusions that no individual would have reached by themselves. Intervene where you sense that the meeting is going astray. Find tactful ways to step in when people are repeating themselves or missing the point. Try to remain positive, recognizing the good points that people have made. Also make sure that some participants do not stifle ideas by shouting people down or hogging the floor. Actively seek views from everyone and make sure they get a chance to speak without suffering excessive interruptions. As you are the ‘boss’, be aware that you can kill off a discussion by expressing your views too early. Hold back on a decision until all viewpoints have been discussed and then be clear about why you favor one viewpoint over another. Show respect for all viewpoints, so that people will feel they have contributed something even you resolve against following their advice. You not only need to keep a meeting on track. You need to make sure that it is not going on any longer than it needs to. Be aware of how much a meeting can cost. Try estimating the average hourly pay rate of the people who need to be at a meeting. Then add up how much it will cost you to have them all in one room talking for an hour. You could easily find that a meeting is eating up over $500 per hour. With this in mind, include time limits for each agenda item. This will encourage people to make their points succinctly. And if a meeting runs ahead of time, don’t hesitate to finish early. You can also try to build up a momentum in the meeting. Try scheduling the most straightforward issues at the beginning so that participants get into a rhythm of dealing with agenda items and then moving on. Ask yourself if everyone needs to be present for all parts of a meeting. If some people need to be present for only half the time, try blocking issues together so that they can come in when needed and leave when they have made their contribution. This strategy can be undermined if people show up late. So be clear about the importance of punctuality. As people don’t react well to public reprimands, talk to stragglers in private. Finally, appoint someone to take minutes. Minutes should focus on the way agenda items have been resolved and they should be circulated soon after a meeting. This will help reinforce the conclusions you arrive at. It will also help ensure that decisions are implemented.